One of the world's biggest motor manufacturers. As part of the Fiat Chrysler Auto miles Group (FCA) they own the Alfa Romeo, Abarth, Chrysler, Dodge, Jeep, Lancia, maserati, RAM and SRT brands and have strong links to Ferrari. The Fiat 500 is one of the most popular small cars on the market. 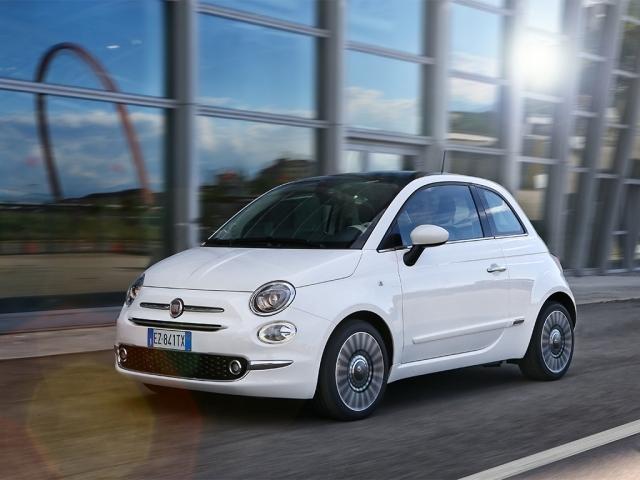 The combination of retro styling, small city car practicality and a fun drive make the 500 a top choice for many drivers. Not to mention good value for money. Fiat built on this and developed the 500 brand to cover several areas of the motoring marketplace. The 500x and 500l offering options for a family who want both practicality and 500 styling. Take a look here for various Fiat leasing and contract hire options and if you have any questions or would like to know more, give us a call on 0116 259 9548 or click the enquire button on the deal that's right for you.